The Monroe Animal Hospital will soon be using a state-of-the-art class 4 laser to offer pain and inflammation relief for our patients. Click here for more information on this exciting development. 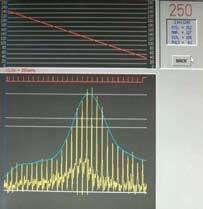 The Monroe Animal Hospital is using a Tonovet device for measuring eye pressure in dogs and cats. 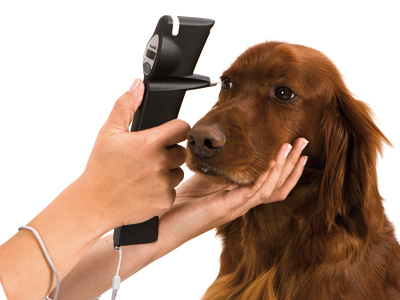 This device allows us to determine if glaucoma or uveitis is present in your pet. We recommend yearly eye pressure screening on Beagles and Basset hounds, as well as any pet with a painful or red eye. The Monroe Animal Hospital is now using a state-of-the-art warming device for use on any of our patients undergoing anesthesia. 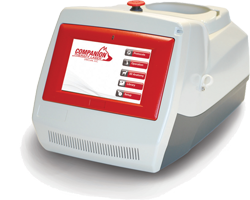 We are committed to anesthetic safety and patient comfort; this device will help us to continue to achieve these goals. The Hot Dog Warming device is used to maintain patient temperature during anesthesia., when they are sensitive to loss of heat. It functions like a heating blanket but also utilizes and redirects a patient's own warmth to help maintain it.